« Day 508 In Beijing: Sunset In Goreme, Turkey. 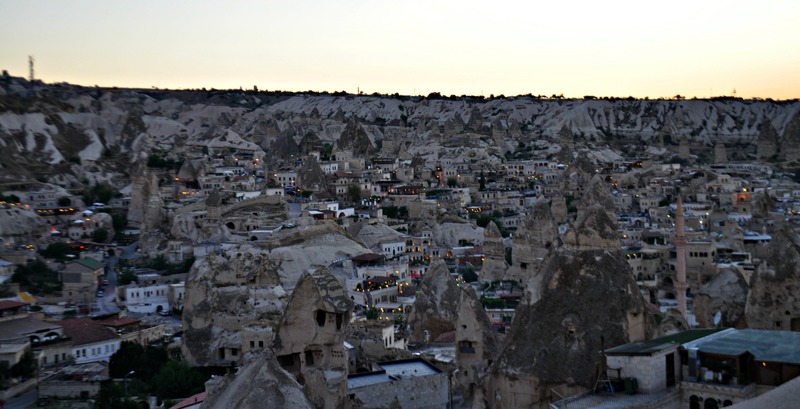 Day 509 In Beijing: Sunset In Goreme, Turkey, Part 2. It almost doesn’t look real as the lights turn on. Jill and I wanted all our readers to get more of an idea of what the sunset in Goreme looks like so we made sure to get a quick video. There were probably about 100 people, total, on this rather large expanse of land, and it was more than quiet enough to make it special.